One of our most popular snack-lunch containers! 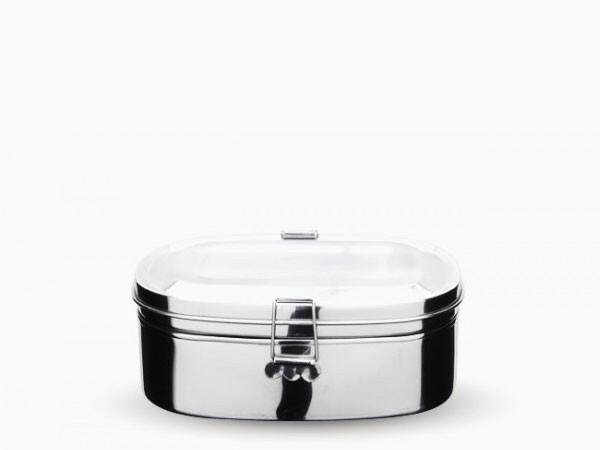 This two layer lunch box is perfect for lunch. A sandwich on the bottom, sliced apples on top. You can also write on the container with a non-permanent marker. This helps to specify the contents, date and owner. 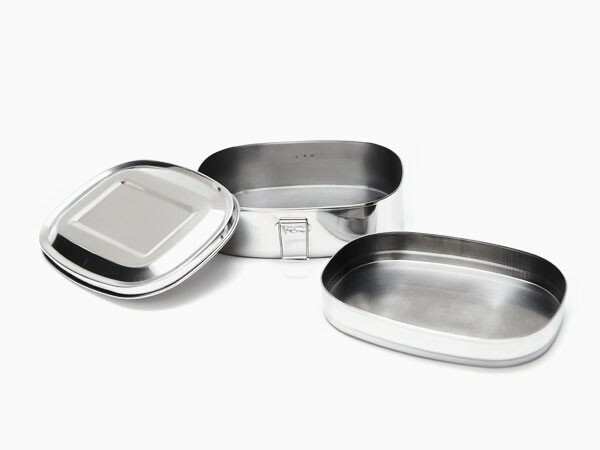 It measures 15.9 x 11.3 x 6.2 cm, it is made from 18/0 (#430) food grade Onyx Stainless Steel. The quality of steel is good. However the laches on box are loose and can come off easily so it has to stay flat on surface. you cant put it in a bag upside down. so its ok product.